Prime Minister Ranil Wickremesinghe said Interpol will take former Ambassador Udayanga Weerathunga into custody and hand him over to the Sri Lankan authorities in accordance with measures taken by the government. Weerathunga, who is on an international police warrant on charges of monetary misconduct involving the MIG fighter jet deal played a major role as the former Sri Lankan Ambassador in Russia during the last regime. 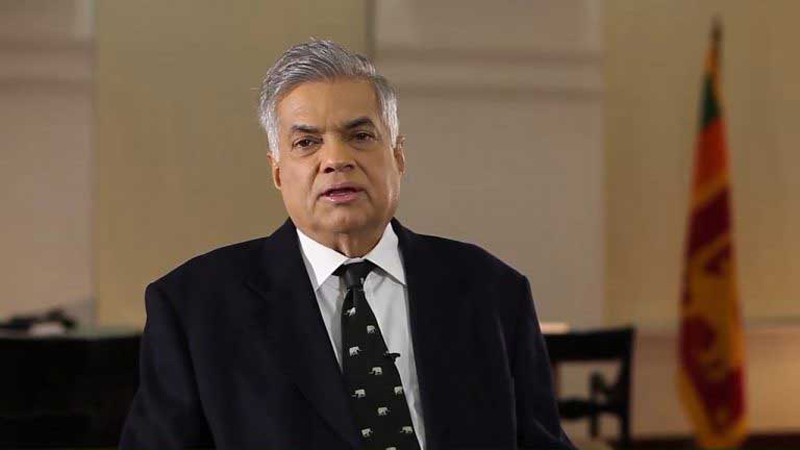 The PM said that no one intervened to bring Weerathunga to the country but Interpol will take measures to take him into custody on the government’s initiative. The Prime Minister said MP Mahinda Rajapaksa, who maintains close connection with Weerathunga even to this day, may not have any obstacle to bring him into the country, the Prime Minister said so while talking with Ministers after the Cabinet Meeting yesterday. At this discussion Ministers had referred to Rajapaksa’s utterance that he (Rajapaksa) would bring Weerathunga into country and simultaneously Prime Minister Wickremasinghe should bring former Central Bank Governor Arjun Mahendran also into the country. The Prime Minister in reply said that Rajapaksa is able to bring Weerathunga to the country since he had been associating with Weerathunga throughout his hide-out period but he (the Prime Minister) is not able to bring in Mahendran to the country since he had no connections with Mahendran after he left the post. The PM said that even though ‘Hitler’s brother’ had connections with a person, who had international warrants, he (the Prime Minister) never did such illegal acts. Therefore, he did not maintain any contact with Mahendran since he left the Central Bank Governor’s post. Answering a question raised by JVP leader Anura Kumara Dissanayake in Parliament recently, the Prime Minister said the Government had sought Interpol assistance to bring in not only Udayanga Weerathunga, but also former United States Ambassador Jaliya Wickremasuriya and Arjun Mahendran to Sri Lanka.